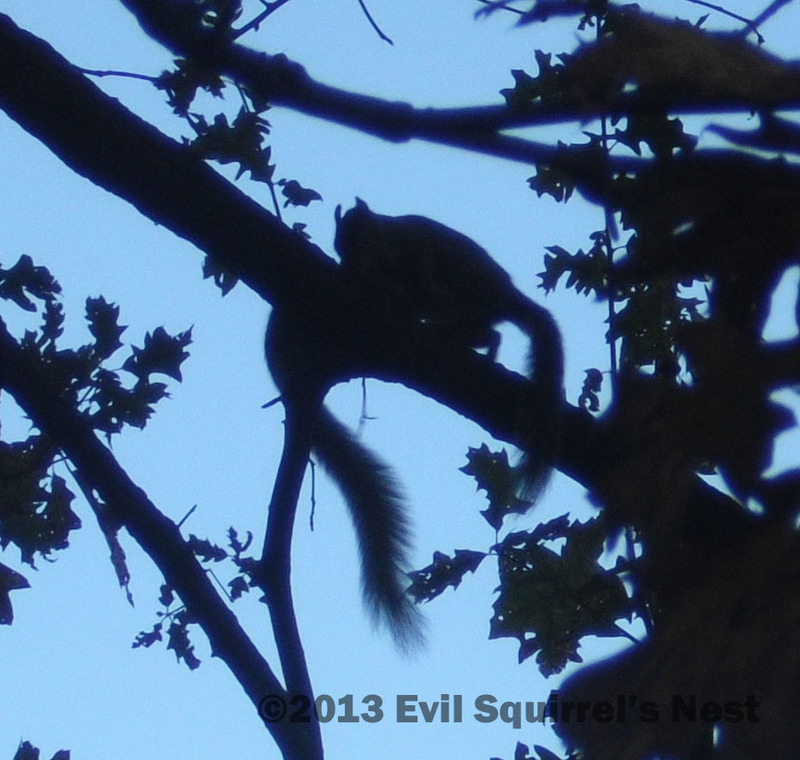 Ninja squirrel lurks in the shadows. All the cool 80’s kids should have an earworm right now as they get their Saturday Squirrel Fixx…. Squirrels are without a doubt diurnal creatures. You will very rarely see a common squirrel out in the open after the sun goes down unless they have reason to flee their nests (like my front yard squirrels who run for cover under my neighbor’s truck every time it begins to rain, even in the middle of the night). During the hot summer months, squirrels become very crepuscular. Wait… huh? What in the hell does that funny word mean? Crepuscular is an adjective used to describe things associated with twilight. The vampire squirrel strikes again. Crepuscular animals are most active during dawn and dusk. So you see squirrels out and about doing their regular business very early and late in the day during the warmer months. Hey, would you want to look for acorns when it’s 95 and the sun’s beating down on your fur? Animals aren’t officially classified as crepuscular like they are “diurnal” or “nocturnal” because it’s really a very loosely applied trait that is rarely consistent within any species. Still, it’s fun to think of squirrels running around in the murky shadows of twilight time rather than in broad daylight. Whether the sun’s just coming up, or getting ready to set, look out for those fun loving Saturday Squirrels who come out to play in the twilight time! Can you handle Squirrels After Dark? Have a crepuscularly great weekend everyone! 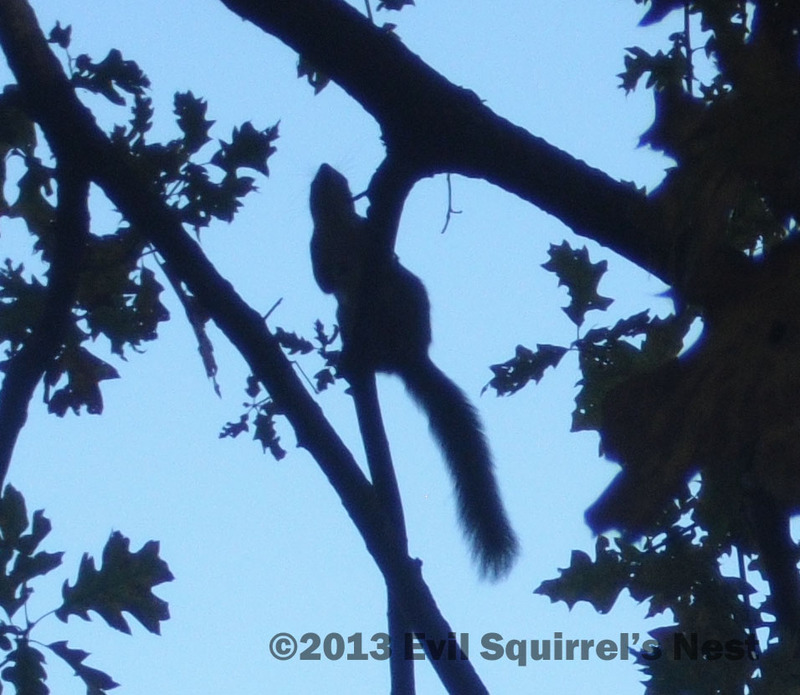 This entry was posted in Saturday Squirrel and tagged crepuscular, dawn, day, diurnal, dusk, night, ninja, nocturnal, photo, photography, shadow, squirrel, tree, twilight. Bookmark the permalink. That it does. Ironically, I’m off to the gym right now. I’ll try not to be too crepuscular. If Meyers can make vampires lame, I have little doubt she could even turn awesome critters like squirrels into pathetic albino beefcakes who wear their pants about 5 inches too low. Now a book like 50 Shades of Grey Squirrel… that would be totally awesome if it was redone with squirrels! The comments are priceless – says the Vampire blogger. Thanks everyone for making my day. I always thought Crepuscular meant something like “hideously wrinkled, resembling a zombie.” Not that I have had many opportunities to use the word. Now, though, I may also write an entire blog about it, Because gee whiz, whenever I add something to my already gigantic store of wisdom, I feel obliged to share it with my 6,021 followers! You gained 20 more followers since just the other day!?!? Must be the members the WordPress staff who are mesmerized by your blog as they help to make our posting experience here so much better! I’ll bet Sylvester Stallone would shoot that movie with him… and a lot of the comedy would be completely unintentional! A very enlightening post. I have come away enlightened. Thanks. I become rather crepuscular myself during the hot summer months. I have such an aversion to the hot, bright hours of the summer sun that I ended last summer with a vitamin D deficiency. Still, I believe squirrels know best! Take your Vitamin D!! 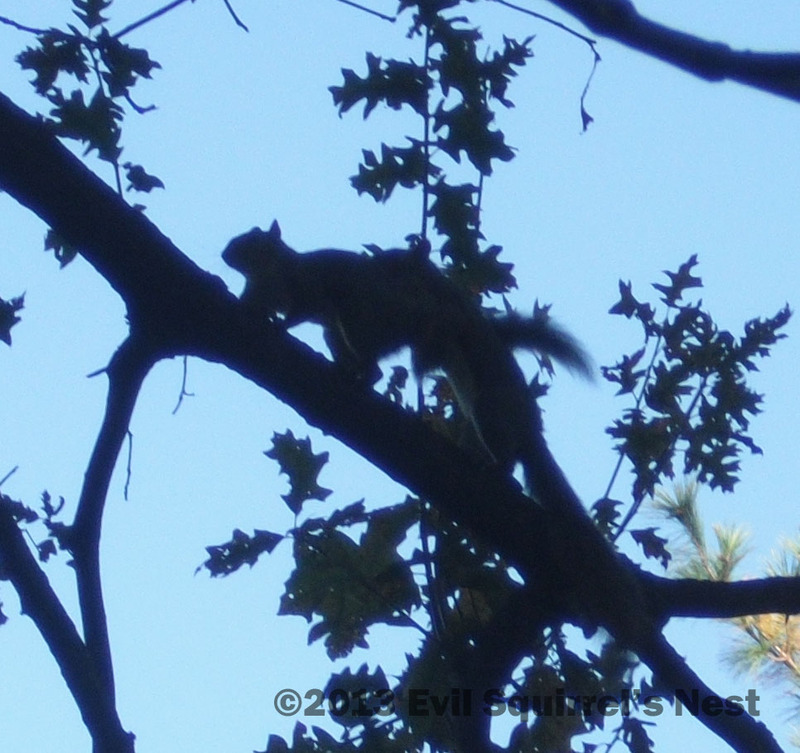 hey, it was Squirrel Saturday and I saw one yesterday, it was sitting behind me at the lake and if I moved to take it’s picture it probably would of ran away so I got my brother to take one…I’ll get it and post it for ya!! Just a young’n real small and cute, 🙂 T.